Last week, WW wrote about a city planning project called the residential infill project, or RIP for short, aimed at easing the housing crisis by rezoning more than half the city's neighborhoods to allow for increased density ("Block to the Future," WW, May 23, 2018.) City officials predict the RIP would create 1,700 duplexes, triplexes and single-family homes, but opponents argue the project will only lead to more demolitions and continued gentrification. Here's how readers weighed in. Jimlabbe, via wweek.com: "The article paints homeowners in too broad a brush. I am a lifelong Portlander and a homeowner. I support this modest step toward creating more and different housing options by re-legalizing old Portland." TallTortoise, via wweek.com: "As long as housing is treated as a commodity to create wealth rather than a basic human need, the crisis will remain mysteriously unsolvable." Neighbor_Em_Dee, via wweek.com: "With tear-down development, many smaller, cheaper and more durable homes are replaced by expensive new builds accessible to a narrow segment of society." Cole Roffman, via Facebook: "More housing units = lower rent. Choose." DK117, via wweek.com: "Remove all height restrictions in downtown, then work on increased density for inner neighborhoods. 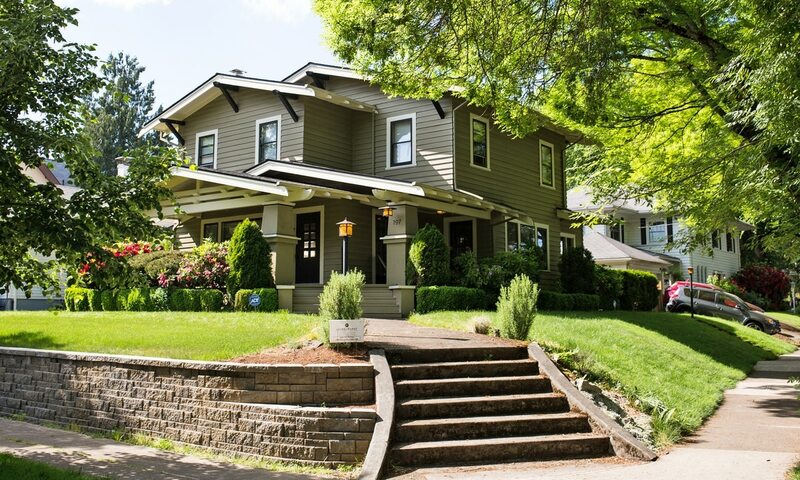 North Portland already has plenty of aesthetically questionable skinny houses, row houses and McMansions. It's a little late to undo those." Luke Robinett, via Facebook: "Homeowner here and my lid has not flipped after reading this. However, I'm skeptical that these new infill developments will be anything but more high-end condos for Bay Area hipster transplants. More housing units doesn't automatically mean more affordable housing units. I would hate to see more big steel-and-glass abominations going up in our classic Portland neighborhoods and still not having any positive effect on affordability. That's like a double whammy of suckage." Johnliu, via wweek.com: "I agree with increased density for neighborhoods, but I think we should do it by building accessory dwelling units and converting existing houses to multiple units." Marlo, via wweek.com: "I saw the results of this in Seattle and surrounding neighborhoods. It does change the character of the neighborhood and does not provide inexpensive housing. Basically, you are getting the worst of both plans. Destroying neighborhoods and not creating affordable housing." Bradford Playford, via Facebook: "How is a plan designed by developers being sold as having anything at all to do with providing affordable housing?" Martha Athram, via Facebook: "Portland's future will not be affordable no matter how many [houses] you build."